Our beloved country is indeed culturally diverse. 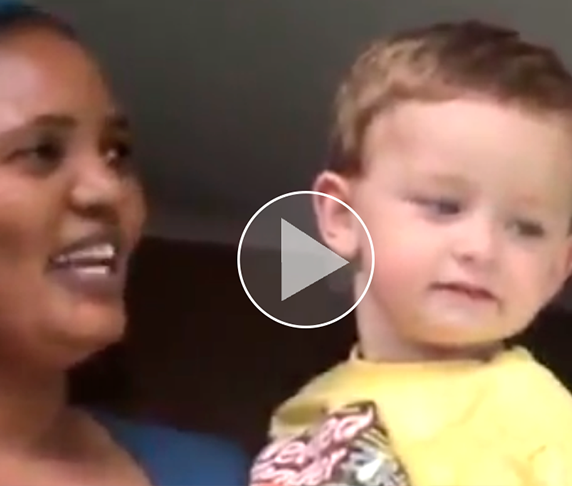 An absolutely adorable video shows a toddler speaking and understanding fluent IsiXhosa, proving that our beloved country is indeed culturally diverse. South-Africa Uncensored posted the video to their Facebook page and it was viewed more 229 000 times and shared over 3 700 times. In the 4-minute clip, the toddler is asked in IsiXhosa to point out a number of body parts, which he quickly does. People can be heard in the video giggling approvingly and cheering the little guy on. South Africans went wild after seeing the video, expressing their love for the evident affection between nanny and toddler. “She not only taught him her language but she taught him her heart. Look at those two interacting. Amazing!” one user commented. “And the love his nanny has for him! It makes my heart warm,” wrote another. It sure does win our hearts too!